"This book is a phenomenal start for someone new to ASP.NET, as well as a complete guide to the new features of version 2.0 for programmers familiar with an earlier version. The beginning chapters detail concepts using a hypothetical company, examining the myriad sorts of requests and situations often requested by clients. The authors deal with these in an eloquent, realistic manner. They have clearly worked in the industry and have faced real-world challenges that programmers encounter daily. The content covers everything from the most basic tasks to the most complex, and is a comprehensive collection of information on ASP.NET 2.0. Every topic is well-referenced for additional information, but contains clear examples that work. The content is technical but the clear writing makes it easy to understand. Difficult concepts are explained in such a way that this book will quickly become your favorite reference for ASP.NET! 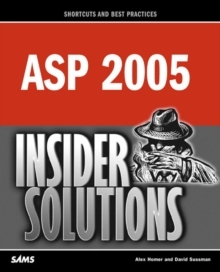 "-Ronda Pederson, consultant, Microsoft MVP Visual Developer, ASP/ASP.NET"As to be expected from two of today's leading technical authors, this book is a cracking guide to getting the most from the ASP 2.0 Framework. Detailed chapters, concise yet practical examples, and clear explanation provide the grounding and support necessary to leverage the new features that ASP 2.0 brings to the table-all explained with a logical, no-nonsense approach. This book will be borrowed by every developer you work with, so guard it wisely! "-John Timney, Microsoft MVP, senior Web services consultant, British Telecom"This book will absolutely change the way you view ASP.NET technology. Read it and your existing Web sites will suddenly appear to be underperforming. 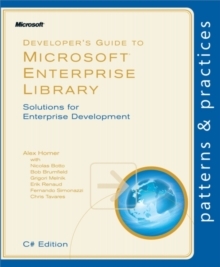 "-Chris Carpenter, senior software engineer, L3 Communications, Inc."The authors have worked closely with the ASP.NET team at Microsoft to makesure that this book is authoritative, accurate, and informative. Anyone usingASP.NET will find a wealth of useful information on ASP.NET 2.0. "-Scott Guthrie, general manager, .NET Developer Platform, Microsoft CorporationDevelopers moving to ASP.NET 2.0, the breakthrough Web development environment from Microsoft, will want to learn how to take full advantage of the new features that make this the most productive and powerful Web development environment ever. ASP.NET 2.0 Illustrated teaches developers exactly what they need to know to create exciting Web sites and applications quickly and easily using ASP.NET 2.0. 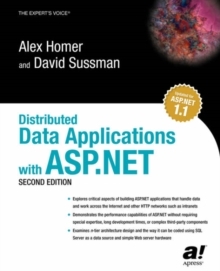 Renowned authors, developers, and conference speakers Alex Homer and Dave Sussman have written a concise, detailed exploration of the "must learn" features of ASP.NET 2.0. 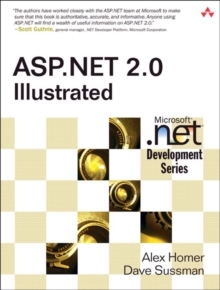 The book's many original examples, fully updated for the release version of ASP.NET 2.0, are all downloadable from the authors' Web site, and many can be run live online. The authors provide detailed coverage ofConnecting to databases, using data source and data display controls with SQL statements and stored procedures; creating business layers and data layers with custom classes and Typed DataSets; and providing declarative access to business and data layers Techniques for improving the scalability and responsiveness of data-driven sites, including caching techniques for data and ASP.NET pages Binding to XML, transforming XML, updating XML data, and managing XML data stored in SQL Server 2005 Building interactive Web forms with a wide variety of ASP.NET controls Understanding and using the core functionality of the Page class and key .NET Framework classes Providing a consistent sitewide look and feel using Master Pages Six ways to provide site navigation, including the new navigation controls Securing sites and implementing membership and roles Using profiles, personalization, and themes in your applications Building user-customizable Web portals with Web Parts Supporting multiple browsers, disabled users, mobile devices, and international users Creating and consuming Web servicesDevelopers will come away from this book knowing exactly how to build secure, efficient, visually consistent, easy-to-navigate, data-driven Web sites with ASP.NET 2.0.